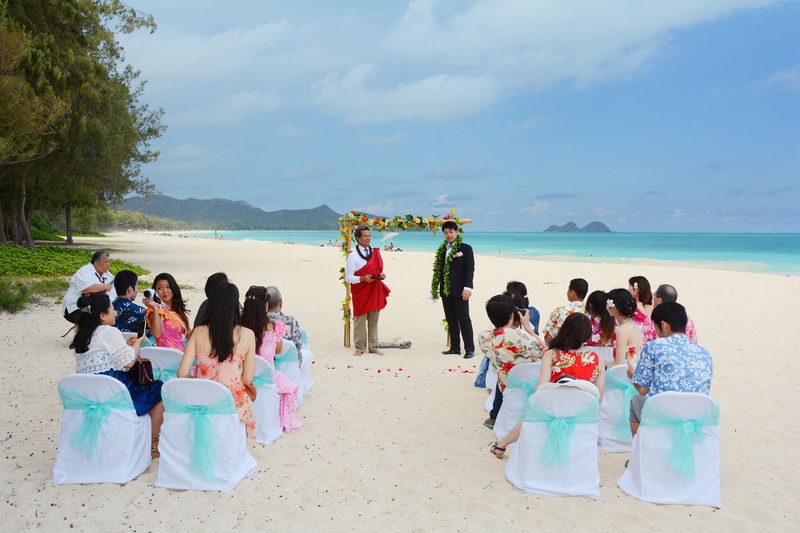 Sho waits for his bride Yu to make her entrance. Waimanalo Beach is one of the few locations on Oahu where we can set up our Bamboo Arch and Chairs. 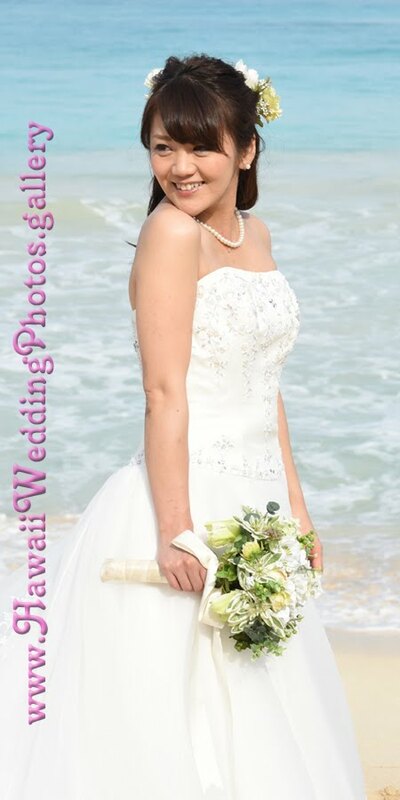 See our ROYAL WAIMANALO WEDDING.